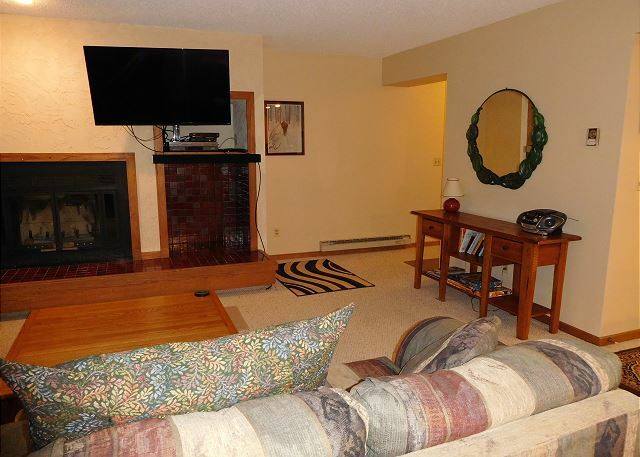 This 2 bed, 2 bathroom condo with a spacious living room and sofa sleeper is the perfect mountain getaway. Walk to the free shuttle, walk to downtown Winter Park. Private covered parking spot. Unit comes with access to a recreation center with a hot tub and work-out facility . Very well kept, clean and beautifully furnished. Huge flat screen T.V with cable services, spacious living room with a fireplace, and the kitchen comes equipped with everything you would need to cook and has new stove and microwave. This property is truly one of the closest properties to the slopes in town and offers incredibly low rates for the quality of property you are booking. Less than a quarter of a mile from downtown Winter Park Colorado. Great mountain getaway location! The location is very good for a stay in Winter Park. About the closest to be to Winter Park ski base so it is a short bus shuttle. Walking distance to shops and restaurants. Spacious and comfortable accommodation. Kitchen was well stocked with most everything you needed for cooking and eating. Many spices included. Large outdoor hot tub...great for relaxing after day on the slopes. Our family of 4 stayed over President's weekend. The condo was just as pictured and was perfect for us. The kitchen was well stocked and even had extras like spices and herbs. We enjoyed the amenities of the hot tub and pool as well as the sauna. We took the free shuttle bus to and from the slopes. So easy. Would definitely stay here again. 2018 Spring Break trip to Winter Park for a weekend of skiing with my two teenage sons made perfect with this stay in Snowblaze C-12! 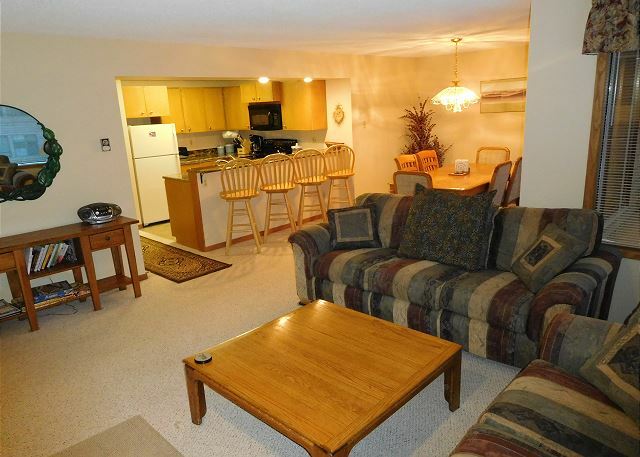 Conveniently located at walking distance to ski rental, dining, and shopping. Short and easy drive to Winter Park Resort parking. Accommodation Likes: Clean and very comfortable; Covered Reserved Parking with private secure ski locker; flat screen tv with large channel offering (Xfinity); fast Wifi; kitchen fully supplied with utensils/tools; new appliances; multi-zone heating; plenty of towels and blankets; plenty of dining space; roadway noise-free. Dislikes: some petty random noises in the unit at nighttime - water heater is in master closet could be heard regenerating; wall heater in master is noisy when coming on and going off; a bit tricky to find the unit's building location and trash dumpster (better property directional signage needed). Mountain Chalet Properties has great customer communications, ease of reservation process, pleasant staff (Jake was amazingly helpful and quick! ); and the unit make ready was perfect! We hope to stay here again and most certainly recommend Snowblaze C-12 and Mountain Chalet Properties! Stayed 2 nights with 2 couples and 2 kids--very comfortable. Could not locate linens for the pull-out couch. The twin bed mattresses are due to be replaced.